Obviously it's not up to AC to develop the fix, but we're not B/E Aerospace customers, we're AC customers. As for other airlines, I don't know. Perhaps the AC seats are slightly different due to some customization. Another sobering thought is that there are about 1,800 of the seats in AC's fleet. Assuming that there really is a permanent fix, imagine how long it will take to replace all of them. It could be another four years at this rate. One would like to hope that they are not complete morons, they have a database of the seats which have failed to date, and will start with those ones before replacing them all. Based on discussion here that could be a far more reasonable 10-20% of the total. I have my $30 inflatable pad from Amazon, fits in the palm of my hand when rolled up. If I have to use it, the cabin is going to wonder what is going on :-). I am going to film it, and share with the world. If a whole bunch of us do it, might it go viral? , but it is too big to pack in a carry on. I am intrigued by the use of the word 'claim'. Once you actually get one of these deflated seats, you will know! Chowtime, canadiancow and nexusCFX like this. ......Have 14 TATL/TPAC flights booked at the moment. Don’t like the idea of being nervous where I should be relaxed. Defeats the purpose. When I booked all of my trips, I knew the odds were against me as they are against ALL of you who fly in these seats. 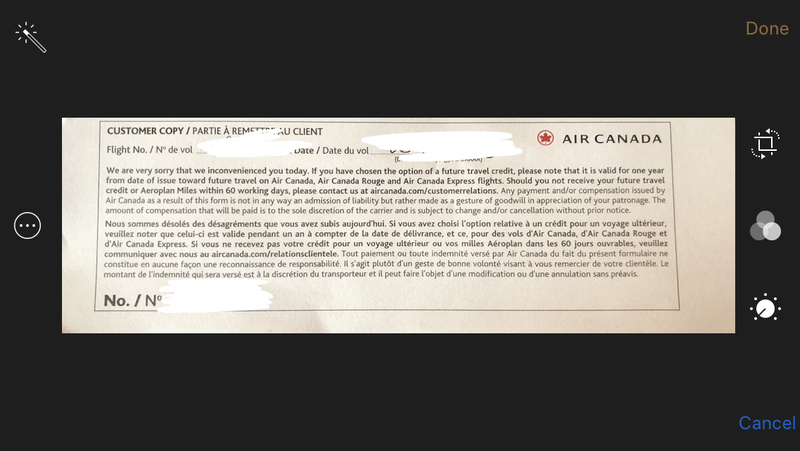 I do not buy tickets from AC nor board their flights expecting misery. That would be an example of insanity. However, I had no idea I would have THREE deflated seats in FOUR days on TWO TPACs and one transcon. The Service Directors did their best but also had rather negative comments to make about the seats, how often they've seen them and that they think it's absurd that customers who pay the most to sit in them have to suffer the misery and then get nothing in terms of compensation (not my words). I still have little confidence that their 'fix' will actually work. I'm the process of researching something exactly like this. Just need something that packs down well. And, if end up having to use it, I will film it and tweet about it. WIth attribution to AC, of course. We need "Film at 11:00" because clearly, what the SDs note in their logbook and what AC notes when then sent out the coupons etc, is not nearly enough to "move the needle" as I wrote upthread. As you know, I've flown other airlines (B789) with the exact same cabin as AC but completely different seats and I've posted my photos from my AA flight. Their seats do not deflate because they do not inflate. All airlines can choose whatever they like from the catalogue at what was B/E Aerospace, then Rockwell Collins, then Collins and now United Technologies (really hard to keep up with all this mating). BTW, Safran bought Zodiac, so there's that too. Airlines also want to customize their premium business cabins so they can market them as unique. SQ and QR can certainly do that, and UA as well. It allows airline marketing to sell differentiation. I don't give a ....... I and all of you want a seat to lie-flat, not have ridges and bumps and such. We want a seat that is comfortable. Well good for you. You are clearly lucky and a statistical anomaly. The great thing about having service directors and maintenance people board a flight prior to departure is that they record the seat, the failure and so on in their logbooks and reports. There is no need for any of us to fake a deflated seat. AC knows exactly which seats on which fins have a problem on each day. The fact that this has gone on for at least FOUR years and the fact that AC has been less than informative about when the seats will be repaired or replaced or even the status of the testing of the new cushions with TC, along with the coupon amounts offered to those affected - which are not compensation, just a discount towards future pancake seat opportunities, should leave everyone here with information on which they can make future flying decisions. wrp96, lallied, Bohemian1 and 1 others like this. And the SD always verifies. And one cannot carry sharp pointy items. Posts like this make me wonder if it is time to crowdfund a full page add in the Globe and Mail or some such. What would it cost? I'm in for $1000. Well my info was garbage. See Left's post below. Think long and hard about spending money in mainstream or social media. No one really cares. A full page open letter to AC in the Globe might get a few raised eyebrows and I think many would not want their names listed publicly in a newspaper etc. Or maybe some would. And I would absolutely never bother with the likes of the CBC or similar. All of them only have reporters and bloggers and very few real journalists and since no one died from the deflated seats, no journalist is going to care. 2. 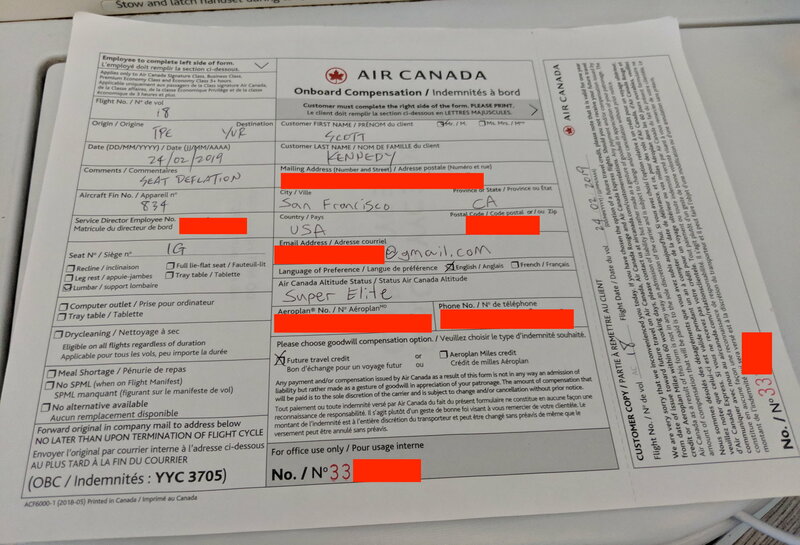 Individual letters to AC with examples of tickets purchased on other airlines. 3. A group letter to AC, where everyone would have to sign their name (include status) and it would make it clear to AC that the problem remains unsolved for this length of time, and what those who sign this letter intend to do. 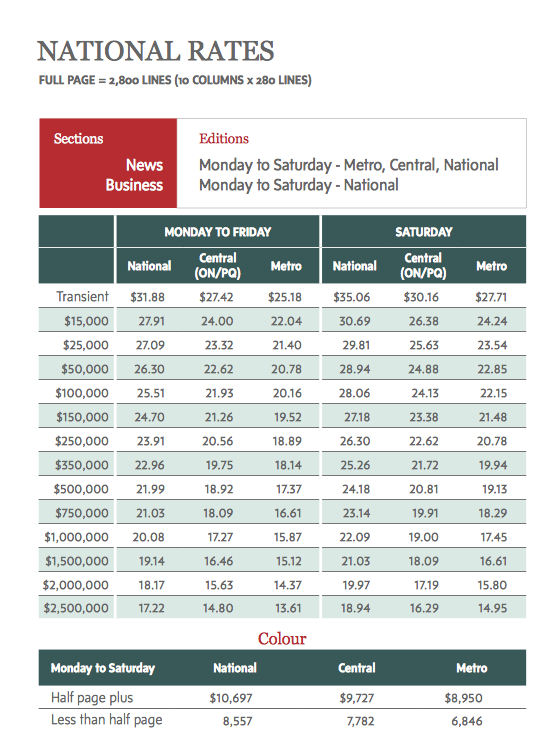 Transient rates mean no discount or corporate rate etc. Is the inflation (or more accurately deflation) technology somehow unique to AC? Your info was not garbage. I assume you were looking at a different page rate. "I can only imagine how an open letter in the Globe would go over. A bit like Marie Antoinette complaining about her cake being stale?" Further, as he said to me, this issue "is between AC and its high value and high margin customers, not the general public" who, IMHO, would neither understand nor care, especially in Canada where socialism rules and everyone is minding everyone else's business. He also said that AC should be doing a significantly better job at communicating this, at least advising us of the steps being taken, the timelines for repair or replacement and the progress to date - especially to those who've been on the receiving end of stay-flats. ain't got time to take a fast train, wrp96 and canadiancow like this. SuperCargo and wrp96 like this.